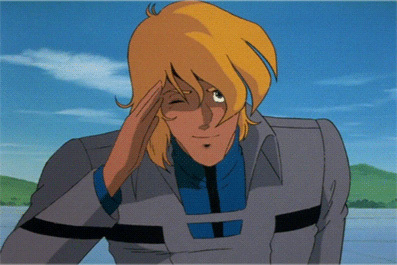 I haven’t tried to build a large scale Valkyrie in over 20 years; I have of course been more fascinated with the SDF-1. 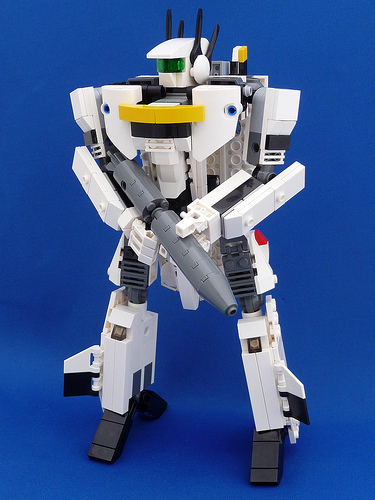 When I was young there weren’t many LEGO parts available for joints and whatnot. Now, there are ball and pivots (and who knows what else) which makes transformable and realistic models like these possible. 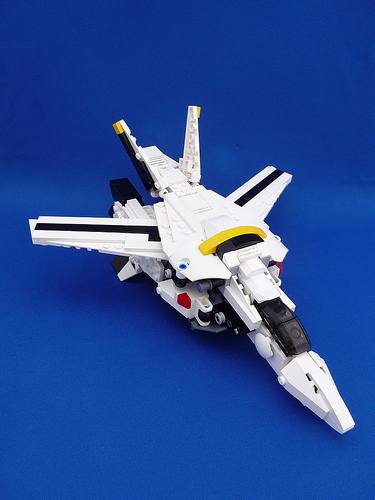 Without a doubt, Roy Focker’s VF-1S is everyone’s favorite. When people start building models (whether LEGO or otherwise) they always’s start with Roy – just my personal observation! 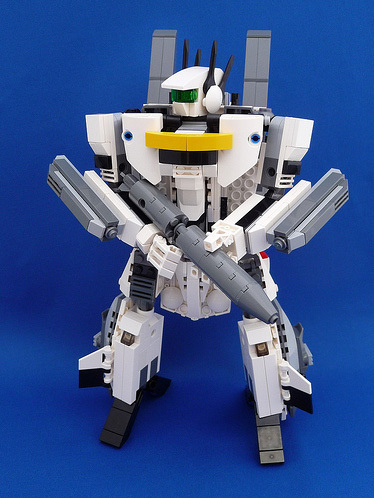 This LEGO VF-1S model is simply awesome, kudos to Daikoncat! You can find the full Flickr Photostream HERE. 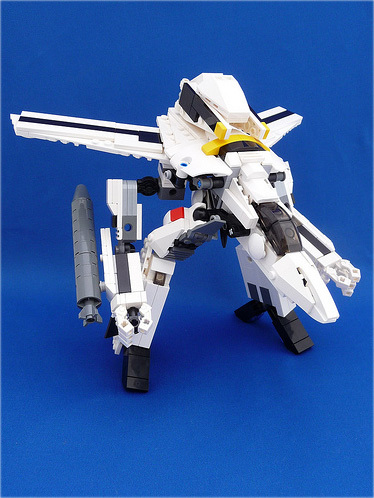 This entry was posted in Other LEGO Models and tagged Daikoncat, Roy Focker, Skull Leader, VF-1S by Claudia's Secret Admirer. Bookmark the permalink.